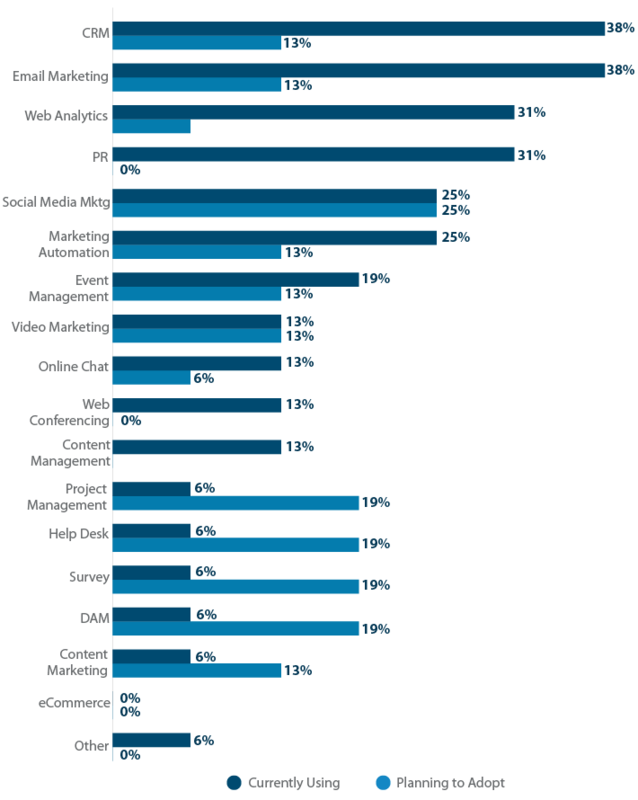 In early 2015, Capterra surveyed 100 business marketers from companies of all shapes and sizes to compare what types of marketing technology they actually use most. In 2015, there are 1,876 different marketing technology tools available to (supposedly) make marketers' jobs easier.There are 1,876 MarTech tools available to marketers in 2015, up from 947 in 2014.Tweet This That number is up from 947 in 2014. The huge increase in the MarTech industry over the past year shows how many more companies— of all sizes and shapes— are using sales and marketing software to grow their companies. But with so many options available to marketers, it can be pretty overwhelming to figure out which ones are right for you. Should you use email marketing software? Or does your team need the more advanced features that marketing automation software offers? Do you need social media marketing software now that you've upped your social game? Or is the intern enough for now? Are your needs complex and sophisticated enough to justify investing in trendy, new apps like content marketing software or video management software? 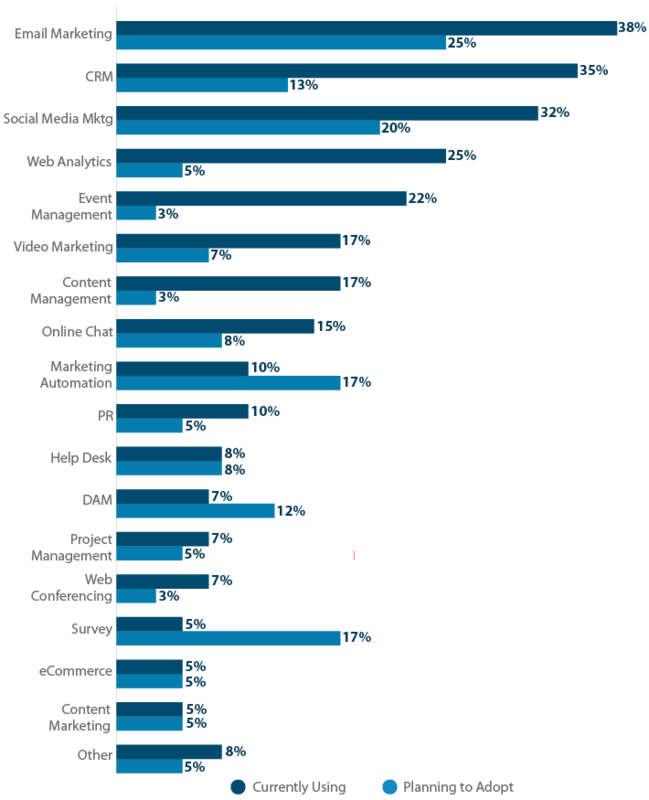 We surveyed 100 marketing professionals to learn more about what software they're using and what kinds of technology they plan to adopt this year. Our research will give you an idea of what systems are most and least popular among marketers. Plus, we've broken down the data based on the respondents' target audience, as well as how big their marketing teams are, so you can easily compare what types of software that companies like yours are really using. First, let's dive into the aggregate numbers. What are most companies already using, and what software are they looking to buy in 2015? Survey software had the greatest difference between current usage and planned adoption rate, meaning that marketing teams recognize the need for a system that can gather meaningful data and customer feedback, but not many have pulled the trigger yet. 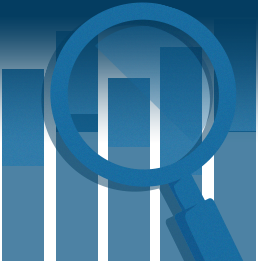 Survey software is sort of a precursor to the “Big Data” tools everybody keeps talking about. It allows you to survey your customers and prospects to gather data and feedback to create more compelling marketing campaigns in the future. This research report you're currently reading, for example, is the result of survey software. Content marketing software had the lowest use rate, and they're also a solution few marketing teams plan to adopt. Content marketing software differs from a CMS (content management system), which many more companies (20%) already use. While a CMS like Wordpress allows you to publish content on your website or a blog, content marketing software goes even deeper than that. It allows you to manage your content workflow, editorial calendar, topic ideas, editing, publishing, promotion, syndication, SEO, and more. The research suggests that, despite the increasing use of content marketing as a strategy for 2015, these more advanced content marketing tools are still in their infancy. Perhaps content marketing challenges are not as widespread or a complex enough for businesses to require software. At least not yet. Even though more than a third of marketing teams said they currently use email marketing software, the fact that 22% of teams still plan to implement it proves that, despite many questioning whether social media, search, content, and other new marketing channels have killed email, email marketing is still very much a viable marketing tactic. Also, when you combine the 36% of teams that use email marketing software with the 14% of teams that use marketing automation (which often has email marketing capabilities baked in), Only 50% of business marketers currently use email marketing software.Tweet Thisit shows that just half of all marketing teams currently use an email marketing service provider. That's a pretty baffling statistic. 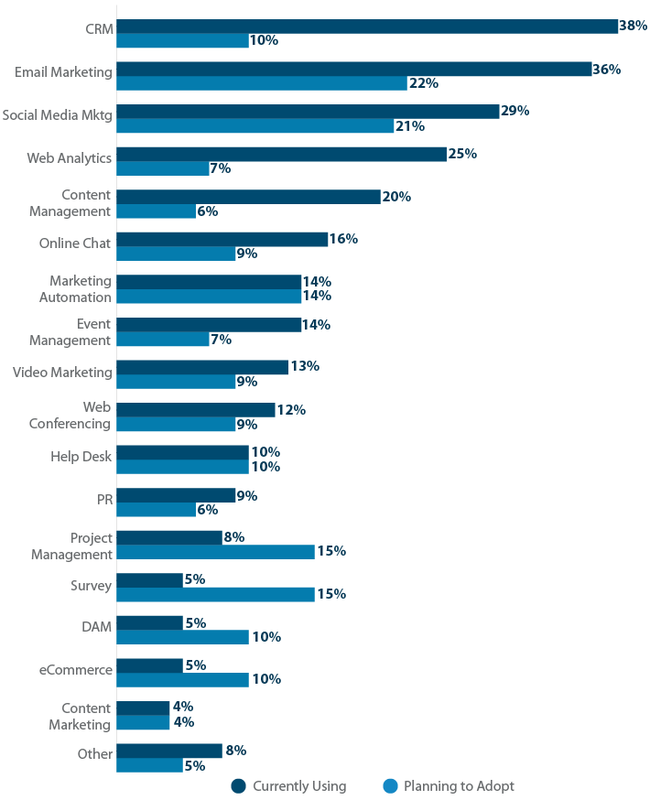 What do the other half of marketers actually do? Just as the tactics differ, so does the technology when comparing B2B and B2C companies. Research has shown that B2B companies are focused on increasing the quality and quantity of sales leads, while B2C companies say their top objectives are to increase lead conversion rates and drive more website traffic. Here's a look at how the contrasting target audiences-- business professionals versus consumers-- differentiates which software each group uses. Many B2B companies have longer, complex sales cycles, and therefore see the value in CRM software to track customer interactions over time. 43% of B2B respondents currently use a CRM to help track and qualify their sales leads. However, few companies are planning to implement a CRM in 2015, with such a saturated market already, so only time will tell if new CRM features and functionalities will renew CRM adoption in the future. B2B companies are recognizing the impact of social media marketing more and more, especially as Millennials flood into the workplace and become B2B decision makers. Social media marketing software has both high usage and high plan-to-adopt scores, showing that B2B marketers understand that they can reach businesses through social media just as well as B2C marketers can reach consumers. So how does the technology landscape differ for B2C companies? Email Marketing is the most widely adopted B2C marketing software, and yet still one of the fastest growing segments in 2015, with 38% of respondents using it, and 25% with plans to adopt. B2C companies recognize that consumers would rather receive a coupon or a sales promotion via email than through more traditional marketing methods like direct mail or print advertising. Also, since more people than ever are shopping on their mobile devices, email has a higher return on investment and increases website traffic more than a piece of mail ever did. 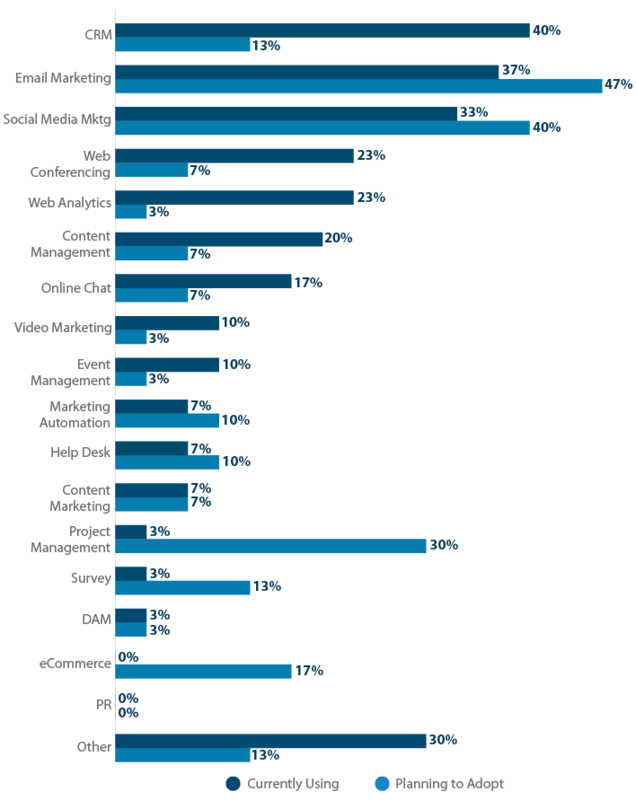 Another 25% of B2C companies are adding marketing automation software to the mix in 2015. While marketing automation has traditionally been associated with B2B brands, it can be just as effective for B2C companies. They can send emails based on a potential buyer's activity on their site, upsell them on new products based on past purchases, and improve overall brand awareness and engagement with customers. What Kinds of Software Do Marketing Teams Your Size Use? We found that technology use does change when comparing different sized marketing teams. Across the board, almost every company uses CRM and Email Marketing Software, two crucial tech components for any size marketing team. But as the team size grows, so do the number of software solutions necessary. For the purposes of this survey, we defined a “small” marketing team as 1-6 people. With social media becoming such a prominent marketing channel across all demographics, it's become even more important for small, local brands to have a social presence. So it's not surprising that 40% of small business respondents plan to purchase Social Media Marketing software this year, and a third already use one. Smaller teams were much more likely to have plans to adopt software than larger teams.Small marketing teams are planning to adopt software more often than larger teams in 2015.Tweet This This trend likely just indicates that these companies are still early in their growth phase, and hope to leverage the power of software to fuel future growth. That's also reflected in the fact that 30% plan to adopt Project Management software, which can help small business marketers keep track of all of the complex projects they have to manage with fewer employees. Small marketing teams aren't using or planning to use Public Relations software any time soon. With so few team members, PR tactics are most likely being outsourced to agencies who have the experience and manpower to handle it for these companies. Or perhaps these smaller marketing teams are more focused on targeting customers before they tackle the media. A “mid-size” marketing team was considered to be made up of 7-29 people. The larger the team, the more advanced software solutions they plan to buy. While even small teams already use CRM and Email Marketing systems, 19% of mid-sized teams plan to adopt Marketing Automation this year-- making it the hottest software for mid-sized marketing teams.Marketing Automation software is the hottest software for mid-sized marketing teams, with 19% planning to adopt it in 2015.Tweet This Adding Marketing Automation software to the mix indicates that these mid-sized teams are beginning to outgrow their Email Marketing solutions and need the more robust features that Marketing Automation has to offer. Compared to small business marketers, who use just 2 types of software on average, mid-sized teams used over 3. With the added marketing team members comes not only more specialization in the types of technology tools they use, but more advanced software itself. For instance, mid-sized businesses were twice as likely to use Online Chat software or Video Marketing software, and three times as likely to use PR software or Digital Asset Management software. The “large” marketing teams were defined as those with 30+ people. The biggest planned technology investments for large companies in 2015 include Social Media Marketing software (25%), Survey software (19%), Digital Asset Management software (19%), and Project Management software (19%). 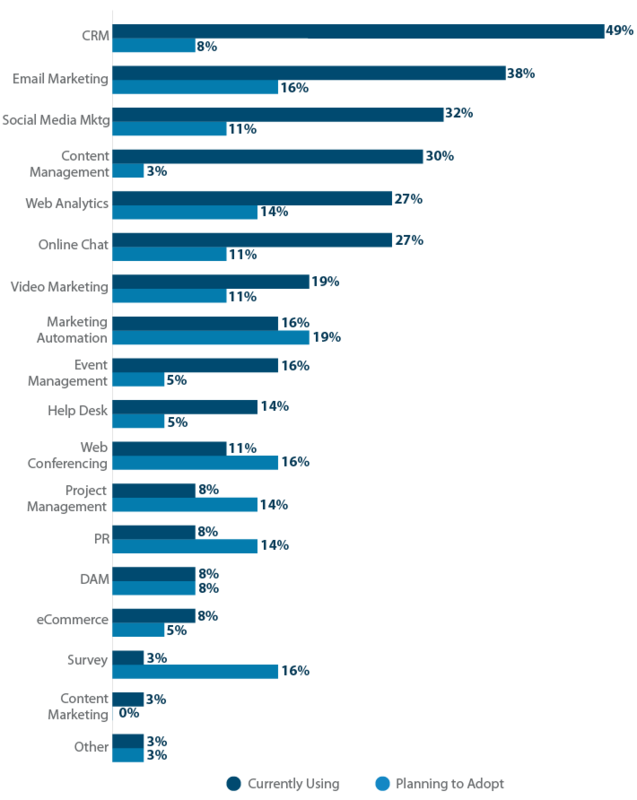 Large marketing teams were the only respondents to express any interest in a Content Marketing Platform, likely because enterprise marketing teams are the most likely to have multiple employees dedicated to producing, editing, and promoting content. 0% of marketers on large teams said that they plan to adopt PR software, a CMS/blogging platform, eCommerce software, or Web Conferencing software this year. In all likelihood, that's less a sign that those technologies are on the decline with the enterprise crowd, and more an indication that marketing teams typically adopt these solutions before they get this big. Now, when people talk about their “marketing technology stack” for 2015, you'll have a sense of what types of software solutions they're actually using. While the findings differ based on the respondent's target audience or the size of their team, one thing is certain: there's a growing need for marketing technology across the board. 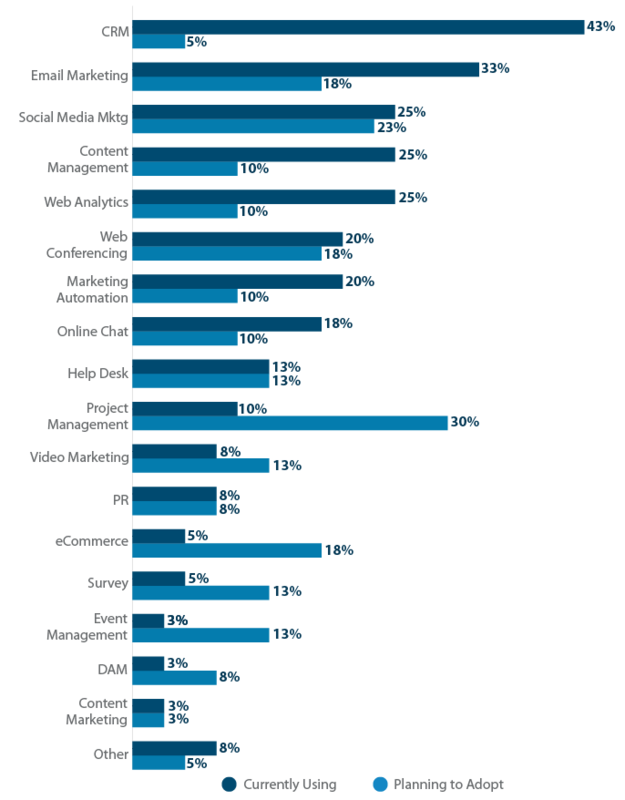 Out of the 100 marketers we spoke to, at least one respondent planned to purchase each type of marketing software we asked about. So whether you're in B2B or B2C, small or large, marketers agree that marketing technology is a crucial part of their business strategy and growth plan moving forward. Caroline is a Marketing Communications Associate at Capterra, where she specializes in marketing automation, email, and content marketing. Her love of marketing began while growing up in Philadelphia and has only grown since attending the University of Pittsburgh. In her free time she enjoys reading, spending time with friends and family, and cheering on her Philly and Pitt sports teams. Follow her on Twitter @CLineMalamut.